For decades, the entire video game community was enthralled by a rather dull urban legend: Supposedly, storied game developer Atari had, in the early ‘80s, dumped thousands (or millions!) of unsold cartridges—mostly consisting of the dreadful E.T. game—in a New Mexico landfill. The problem with this urban legend, though, is that there was a good amount of evidence to back it up. That means it was less of an urban legend and more of a…mildly interesting story about the hubris of game developers in the early ‘80s. Still, Microsoft decided to investigate this “mystery,” and as part of a documentary called Atari: Game Over that it released last year, it went to the actual landfill, dug through a bunch of garbage, and found the actual Atari cartridges. The “famous” landfill where all of this took place was in Alamogordo, New Mexico, and since the big pile of garbage was within the city’s limits, it decided to take ownership of the cartridges and sell them on eBay. (Yes, before you begin to question your reality, this is indeed a thing that happened in real life.) Now the bidding is all over, and we know exactly how much money Alamogordo made off of selling literal garbage: $107,930.15. That figure comes from Alamogordo News (via Engadget), which says the money was divided up among the town itself, a local historical society, and the various fees involved in mailing trash to people who don’t know how to hold on to their money. 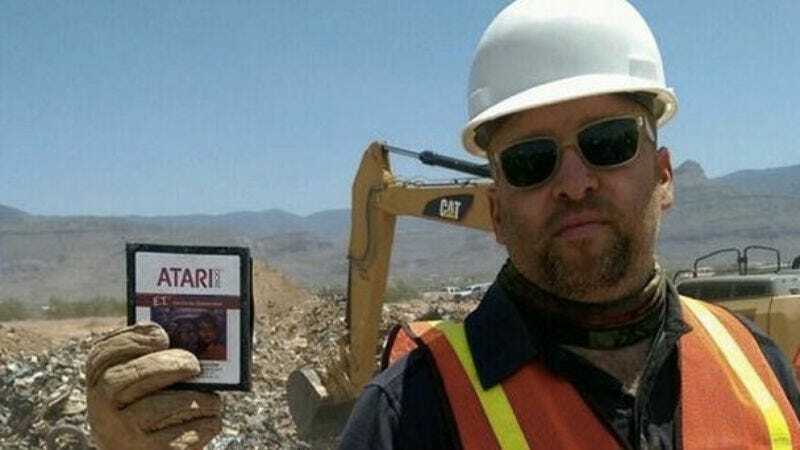 Historian Joe Lewandowski, who masterminded this whole excavation, reportedly held on to 297 of the cartridges, and he’s planning to sell them himself if he ever decides to make a sequel to the Atari: Game Over documentary. Hopefully that documentary will follow the people who bought these cartridges, because maybe they didn’t realize they were literally worthless and that’s why they were in a landfill in the first place. We’ll have to wait and see.